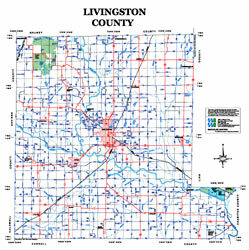 The 2007 Map of Chillicothe & Livingston County is of the utmost quality and up-to-date information. Not only does it include both city and county road maps, but also depicts the Murals of Chillicothe with coordinated mural inset for self-guided walking tours. It also gives a brief history of Chillicothe and how we became the "Home of Sliced Bread", the current statistics for our area, and community contact numbers and information. 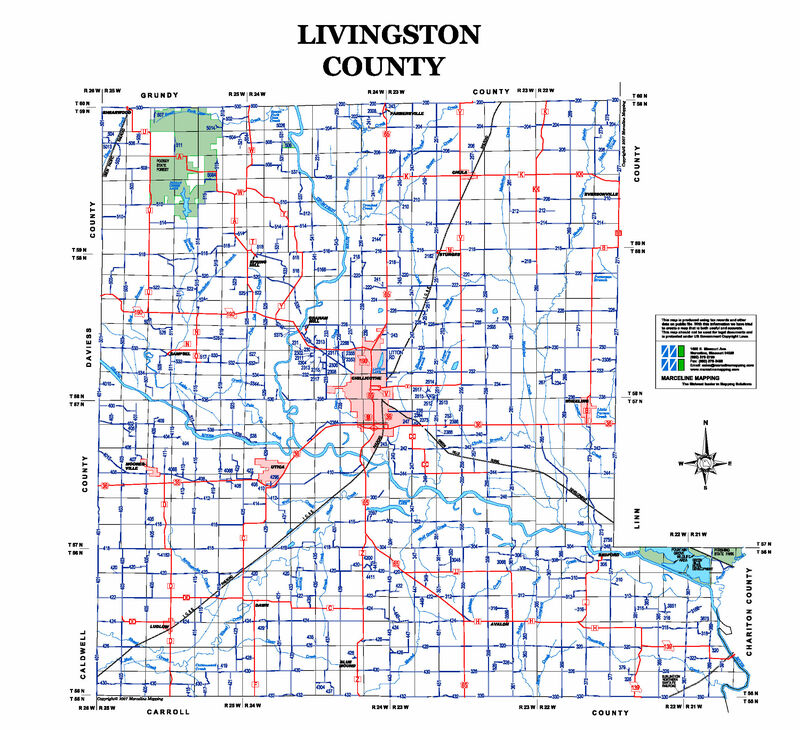 The map was created and printed by Marceline Mapping, a Chillicothe Chamber member, with the support of our Chillicothe Chamber members who took the opportunity to advertise. These full color maps are now available, at no cost, at the Chillicothe Commerce Center. To view the complete brochure and/or the city maps, click here. Click the image above or here to view a larger image of this map. Click here to view the larger version of the map as a PDF file.